Let's meet again and celebrate the end of the winter time! If you ask us, this is a meeting place that you don't want to miss! Great wines, tasty snacks, discrete music up to 23:00... and then for all of you who want to dance in the middle of the week... get ready for some serious fun! 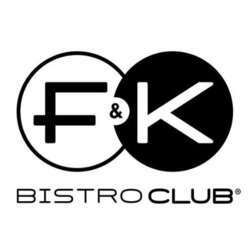 For you who come for the first time in this special place, F&K is synonymous of Lyon's nightlife. Connect with other expats in Lyon and grow your social network with us. Join us in F&K! Save the date and bring your friends.